True Wild Life | Elephant Seal | There are two types of elephant seal found in the worlds oceans. 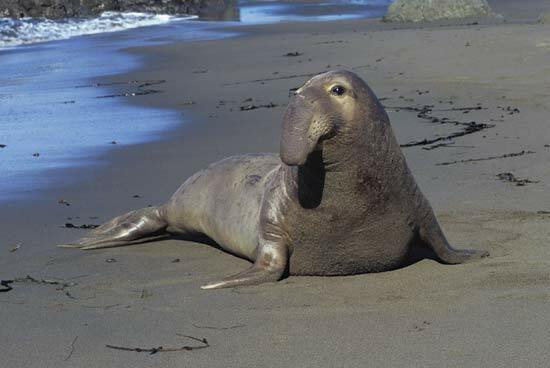 The northern elephant seal is found in the Northern Hemisphere in the Pacific Ocean near to the coast of Mexico, Canada and the USA. 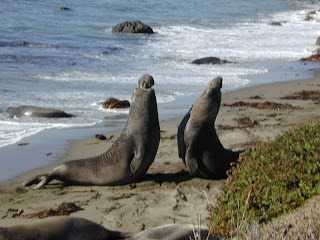 The southern elephant seal is found in the southern hemisphere on the coast of Argentina, South Africa and New Zealand. The elephant seal is the largest species of seal in the world with the average male elephant seal growing to around 5 m long. The female elephant seals are generally quite a bit smaller than the male elephant seals, and the female elephant seals therefore grow to around 3m. Elephant seals get their name from the large proboscis (nose) of the adult male elephant seal which closely resembles an elephants trunk. 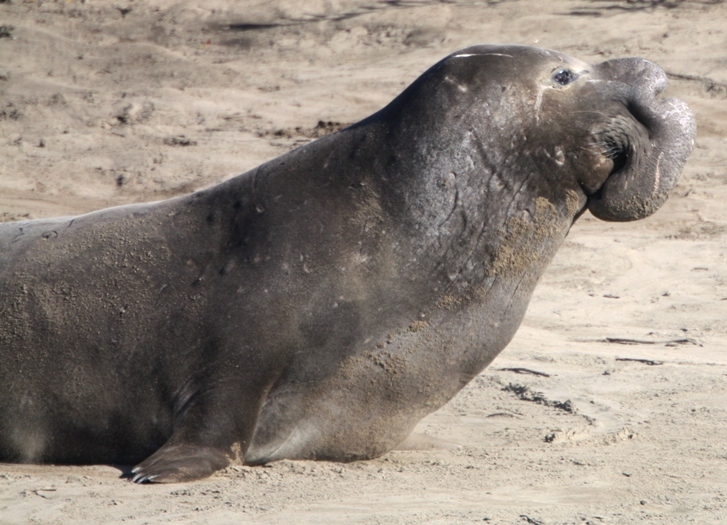 The male elephant seals proboscis is used to make extremely loud roaring noises, especially during the mating season. The male elephant seals long nose also acts as a rebreather, which allows the male elephant seal to conserve vital moisture. Elephant seals spend around 80% of their lives in the oceans, where the elephant seals hunt for fish, squid, octopus, eels and even small sharks. The southern elephant seal has also been known to hunt the smaller species of penguin. What is my teacher doing on here????! This really helped me with the information that i needed. thank you. Those are in Happy Feet and in Happy Feet 2! 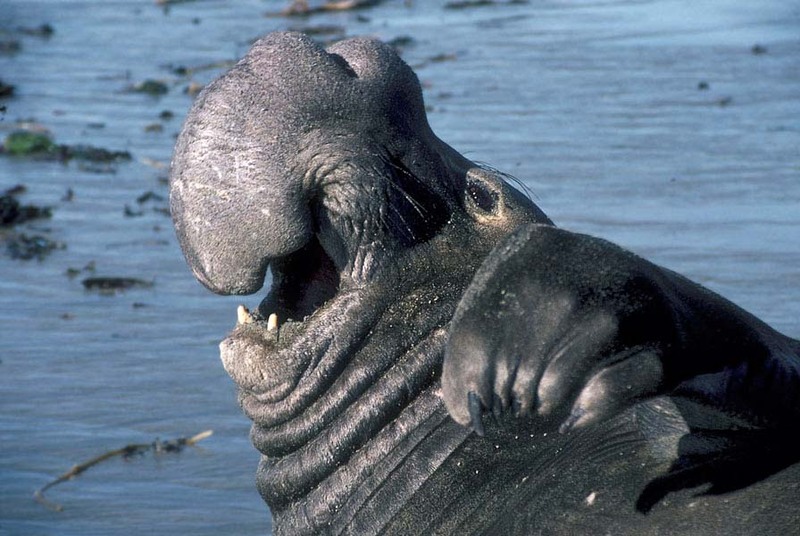 elephant seals are by far the best animal alive, the way they thrash about in the ocean is so beautiful. I one day wish that I can share that experience of thrashing around in water with them, how exhillarating. I really do like to keep up with the updates about elephant seals, I love finding out new information every week on this website and looking at everybody's comments. I agree with the comment above, I wish so much that I can do the same and swim with them.